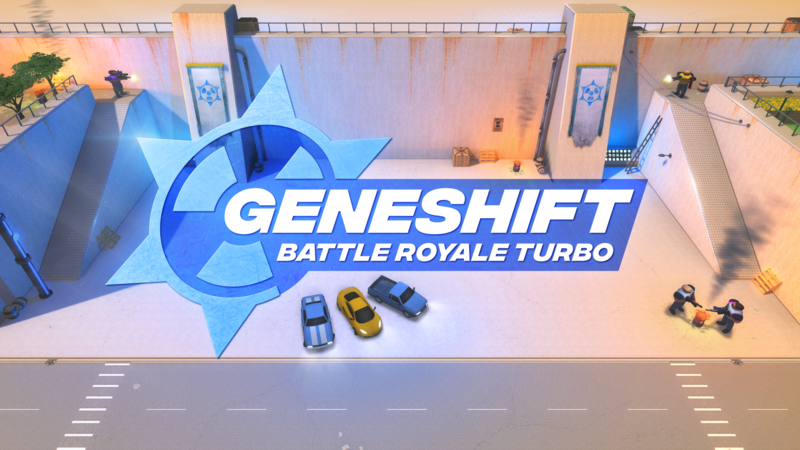 Geneshift is inspired by GTA2, Diablo, and Counter Strike. It has two main modes, the campaign and the multiplayer. If your time is limited I suggest playing the Battle Royale multiplayer first. Simply click the "Play Battle Royale" button in the main menu. This takes about 20 minutes and best represents Geneshift's crazy mix of cars, weapons, skills and tactics. You also have full permission to monetize, stream, and share the game with no embargos or restrictions. Geneshift has been in development for over 9 years now, with the alpha first released in 2009. When it was Greenlit in 2014, the sole developer - Ben Johnson of Nik Nak Studios - decided to take the game full-time. Sydney is expensive though, so he quit his job and set off to code in cheap youth hostels around the world, including 18 months living in Peru. This cheaper lifestyle allowed Ben to just scrape by and launch Geneshift onto Steam Early Access on May 23rd, 2017. Now back in Sydney, Ben is finishing up the game in preparation for the full release. Battle Royale Turbo: Be the last man standing in the new Battle Royale mode, where each round only lasts 2 minutes. Singleplayer/Co-op Campaign: Play through the tongue-in-cheek storyline, either solo or with up to 4 friends online. Tactical Multiplayer Combat: Fight players or bots online in modes like Capture the Flag, FFA Deathmatch, and Conquest. Insane Vehicle Action: Ride with allies to do drive-by shootings, detonate car bombs and capture key objectives. Over 30 Tactical Skills: Create complex skill builds as you gain experience and permanently level up your mutant. Over 20 Brutal Weapons: Fire pistols, shotguns, snipers, explosives... or save up for the deadly superweapons. Secret Base Building: Place hidden chemicals to gain secret benefits, like selling weapons and teleportation. Deduction and Deception: Find and destroy your enemy's base by observing their movements and spying on them. Leaderboards and Difficulties: Replay the campaign in 4 difficulty levels and set high scores on various leaderboards. Competitive Servers: Earn ranks in competitive servers that balance teams with a unique ELO rating system. User Generated Maps: Create maps with the built-in map editor. Earn credits whenever your maps are played. Cosmetic Unlocks: Unlock awesome cosmetic items such as capes, glowing bullets, lightsabers, and more! "I tried it out some more today and you know what, it's incredibly fun." "...it sounds about as videogamey as videogames get"
"Meet the indie dev who spent two years making a game in youth hostels abroad"
"Combining vehicle combat, mutant powers and an huge arsenal of weaponry, Geneshift promises some manic multiplayer fun." The latest screenshots and gifs: geneshift.net. The official Discord chat: discord.gg. Nik Nak Studios is an Aussie game studio founded by Ben Johnson in 2008. Nik Nak Studios is based in Sydney but has worked from all over the world, including 18 months spent coding in youth hostels in Peru. More information on Nik Nak Studios, our logo & relevant media are available here.